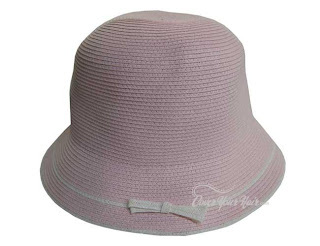 I never realized how many stylish hats and hair accessories their were out there until I discovered Cover Your Hair. My hair normally looks pretty blah and I would love to be able to “spice up” my look and be more stylish. It gets boring wearing a pony tail or a plastic hairband day in and day out. I guess I just never realized that there were other fashionable options out there that I could try until now! 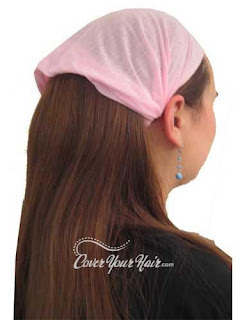 Cover Your Hair has just about every hair covering and accessory you could ever imagine. From pre-tied bandanas to headbands to turbans, they have it all! I had a look around their site and saw so many cute options that would suit me. I love wearing hairbands because it keeps the hair out of my face. I can’t stand when my hair is touching my face so I would love to try some of their headbands or pony holders. Beats an elastic and cheap plastic hairband anyday! Right now we are smack dab in the middle of a cold, Canadian winter so I was pleased to see the item Cover Your Hair sent me for my review: An Everyday Wool Beret in Maroon. It is made of 100% wool and is one size fits all. It fit my big head perfectly. John liked it and said I looked French (which I am partly)- c’est un beau chapeau! I don’t normally wear hats so it was a bit of a change to remember to put it on before I went out. Its good to wear on the cold days when you are just going out and doing some running around. I would want something warmer for those -30 degree days when you can get frostbite in a matter of minutes. Thankfully, there have been too many of those days this winter (knock on wood!). The beret was very comfortable and I forgot that I had it on my head after awhile. I liked the look of it even though I am not used to myself in a hat. They have a wide selection of colours to choose from so you can get something that matches your winter coat. I would have preferred a black beret since black goes with everything and I wear a lot of it. The Maroon was nice, but not my favourite colour. 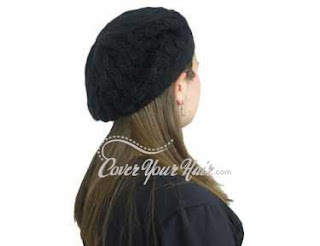 This particular beret is on sale right now for $11.19. The regular price is $13.99. I would snag more of these in different colours to suit different jackets. It’s something new for me and I need more diversity in my wardrobe.